New Delhi, January 31: Despite cautioning Pakistan ‘not to interfere in India’s matters’, the country fails to understand one simple logical concept. India on Wednesday lodged a strong protest with Pakistan over its Foreign Minister's phone call to Kashmiri separatist Hurriyat leader Mirwaiz Umar Farooq as it's High Commissioner Sohail Mahmood was summoned by Indian Foreign Secretary and told to desist from such actions. The brazen attempt of Pakistan rightly proves that the country is trying to violate the sovereignty and integrity of India. 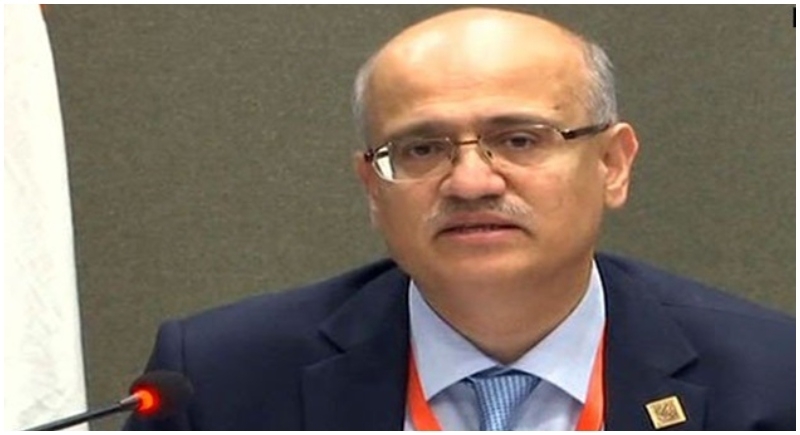 Foreign Secretary Vijay Gokhale told the High Commissioner that Pakistan Foreign Minister Shah Mehmood Qureshi's phone call to Farooq amounted to "direct interference" in India's internal affairs. Qureshi called up Mirwaiz on Tuesday, in first direct contact by the new Pakistan government with the Kashmiri separatist leadership. He reportedly told Farooq about Pakistan's "efforts" to resolve the Kashmir issue. Ministry of External Affairs issued a statement stating, "The Foreign Secretary conveyed the Government of India's condemnation in the strongest terms of this latest brazen attempt by Pakistan to subvert India's unity and to violate our sovereignty and territorial integrity, by none other than the Pakistan Foreign Minister." "The Foreign Secretary conveyed that this deplorable act has violated all norms for the conduct of international relations even by Pakistan's own standards. The Pakistan Foreign Minister's actions are tantamount to direct interference in the internal affairs of its neighbour," the statement added. The MEA said the Foreign Secretary "underscored that by this action Pakistan has confirmed yet again that it officially abets and encourages individuals associated with terrorism and anti-India activities. "It has exposed to the entire international community Pakistan's duplicity in professing their desire for normal relations with India on the one hand, while openly inciting anti-India activities on the other." The Pakistan High Commissioner was categorically told by the Foreign Secretary that the Government of India "expects Pakistan to desist forthwith from such actions," the statement said. "He was cautioned that persistence of such behaviour by Pakistan will have implications," the MEA said. India has always positioned Jammu and Kashmir as one of the most important states and regards it as the crown of India. The statement underlined that Jammu and Kashmir is and shall remain the integral part of India, and that Pakistan has no locus standi in any matters related to the State of Jammu and Kashmir, has been made clear again to the High Commissioner of Pakistan.